More signs of deep trouble in Venezuela. LATAM Airlines, the biggest Latin American carrier, is the latest to cut service to Venezuela. The Chile-based company said Monday it had suspended flights from Sao Paulo, Brazil and by August will suspend service from Lima, Peru and Santiago, Chile. 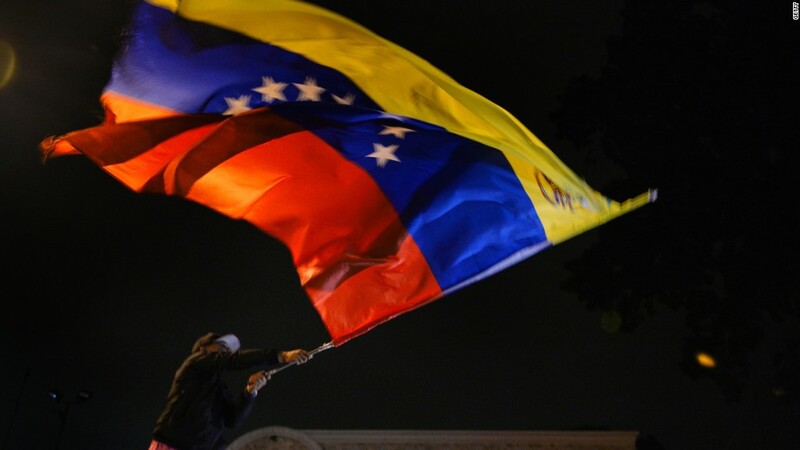 The news comes amid a daunting economic and humanitarian crisis in Venezuela. LATAM said that Venezuela is an important market and will "work to resume these services as soon as global conditions permit." On Sunday, Lufthansa, one of Europe's largest airlines, announced that it will also stop flying to the country, beginning June 17. Andreas Bartles, a Lufthansa spokesperson, said there's two reasons for its decision. First, there simply isn't enough demand -- particularly among business travelers -- to fill flights. Second, the company is having trouble converting Venezuelan currency, which uses complicated multi-tiered exchange rates. Venezuela is heavily reliant on its massive oil reserves, and two years of stubbornly low oil prices have strangled the country's economy. And fewer flights on Venezuelan runways is far from the country's only problem. The economic crisis has spurred food rationing, medicine shortages, and mass unemployment. The International Monetary Fund expects unemployment to hit a staggering 21% next year. The government has ordered rolling blackouts to conserve power, and employees in the public sector are working only two days a week. The downward spiral has caused concern for many international companies. Last year, multiple air carriers -- including U.S.-based Delta (DAL) and American Airlines (AAL) as well as Air Canada and Europe-based Alitalia -- made plans to reduce or suspend Venezuelan flights. Related: How much more oil can the Saudis really pump? Coca-Cola (KO) also recently announced that it is temporarily stopping production in the country amid a sugar shortage. --CNNMoney's Chris Liakos contributed to this report.